This months winner will be sent 2 Wild Rose stamps!!! Christmas Hamster, May your holidays Sparkle! Until Next Time, Keep Crafting & Merry Christmas!! Hello there this is a tag that I made keeping with the CHALLENGE THEME CHRISTMAS .. The main stamp is one from HIGH HOPES and it is called ELEGANT SANTA, the background stamp is from WHIMSY called POSTCARD to SANTA..I used the DYLUSIONS INK SPRAYS as well as TATTERED ANGELS GLIMMER MIST..the images were stamped with MEMENTO TUXEDO BLACK..Santa was coloured using COPICS and PRISMA PENCILS!! Good Morning. Today marks another Wednesday and another day closer to Christmas. This is my last post for the NOVEMBER CHRISTMAS CHALLENGE here at One Crazy Stamper. December 1st we will have a new challenge up but you still have a couple of days to enter this one. My card today uses an image from the Wild Rose Studio line. Between the teddies and the elephants I can not decide which are my favourite; they are all so cute. The Happiest Time of the Year!!! Tis the season for those lovely UGLY CHRISTMAS SWEATERS to be dug out from the back of your closet, and to be proudly worn for every one's pleasure. My card today features this annual event with the use of the﻿ Art Impressions Ugly Sweater Stamp set. After coloring the image with my Copic Sketch Markers, I used a Copic Multiliner to draw the lines on the bells back in, then fussy cut the image and mounted it on the inside of the card with an Action Wobbler. The image is framed with a cut-out made with a Spellbinders die. An older Bo Bunny dp is the card front and inside. The awesome sentiment is included with the image stamp. You still have a couple of days left to enter the monthly challenge at One Crazy Stamper with your Christmas themed project. Welcome back, today my card has a little twist today, and it sure was fun to create and color up. Shaped this one up and this image is from Whimsy Stamps called Chole's Little Light. Our challenge at One Crazy Stamper for the month is Christmas and this is my last one for the month, next week we start a new challenge. So there is plenty of time to pop over and play along with One Crazy Stamper, and share some love with the design team. Thanks again for stopping and I hope you get into your craft room and have some fun! Take some time to stop by Lora's store and have some fun with shopping! 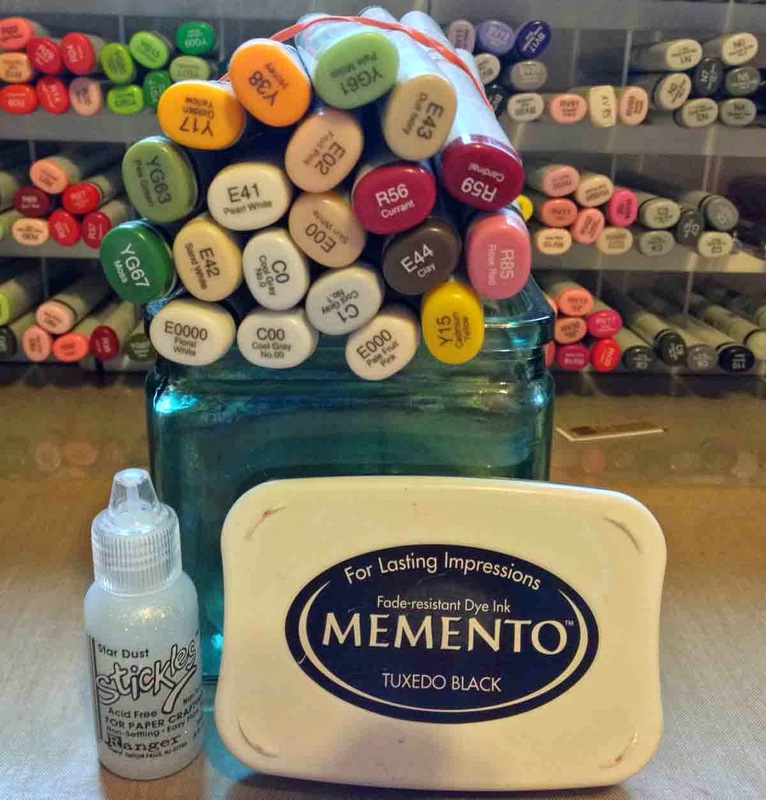 Supplies: Spellbinders, Ribbon, Word-computer, Glue Dots, Xpressit Copic Paper, Copic Markers-G24, G28, G29, R22, R24, Y28, YR20, YR30, E000, E01, E00, E42, E40, E21, E27, E29, E13, E25, E18, E44. As today is my last post for the month of November for One Crazy Stamper; this means that Christmas is a month from tomorrow and that next Sunday is time for a new challenge. 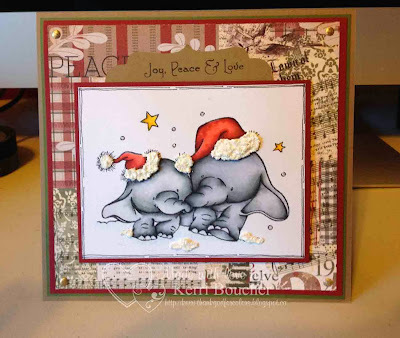 For today's card, I have used the Christmas Song set from Heartfelt Creations. 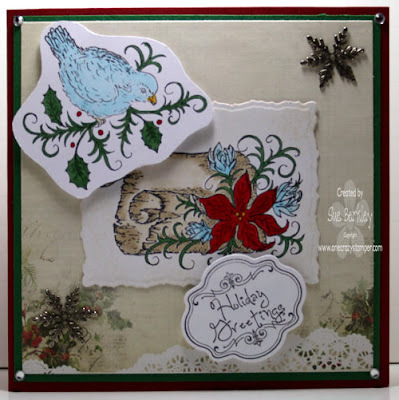 You still have a few more days to enter this month's Christmas challenge for a chance to win 2 Wild Rose stamps. In the meantime, check out Lora's store One Crazy Stamper for some amazing new products that have arrrive and make out your wish list for Santa. Hey fellow crafty friends! Today I have a cute little house mouse for you, who is in the spirt with gifts galore to share. I Coloured this guy with my copics and used several spica glitter pens and a clear gelly roll pen on all of the ribbons. For the snow I first used glamour dust then added art institute faux snow over that. Have a great day, and don't forget to get crafty and join in on our Christmas challenge for a chance to win 2 wild rose stamps! Happy 50th Birthday to My Husband!! Labels: Copic Sketch Markers, Copic Xpress It Card Stock, Glossy Accents, High Hopes Rubber Stamps, Memento Inks, Shari G.
Good morning to all!! Today I have another card for you using a HIGH HOPES IMAGE called GETTING SPRUCED UP..I stamped it onto WHITE CARDSTOCK and coloured it with my COPICS and did some shading with PRISMA PENCILS..very simple card but at this time of the year with all we have to do WHY NOT!! All of these supplies can be found over at ONE CRAZY STAMPER and please join us for the CHRISTMAS CHALLENGE..The prize pack is 2 WILD ROSE IMAGES and I love these two..good luck and thanks for stopping by!!! Hello there. Thank you for dropping in today to see what I have created for you. It is, of course, following our challenge theme of "CHRISTMAS" this month, a Christmas card using an image and sentiment from High Hopes Stamps. I made it for an American friend who believes that all we say in Canada is "EH?" While I know I may have said it a time or two, it is not something I say continually or is it something I recall hearing all the time. But it is a cute stereotype and works well here. 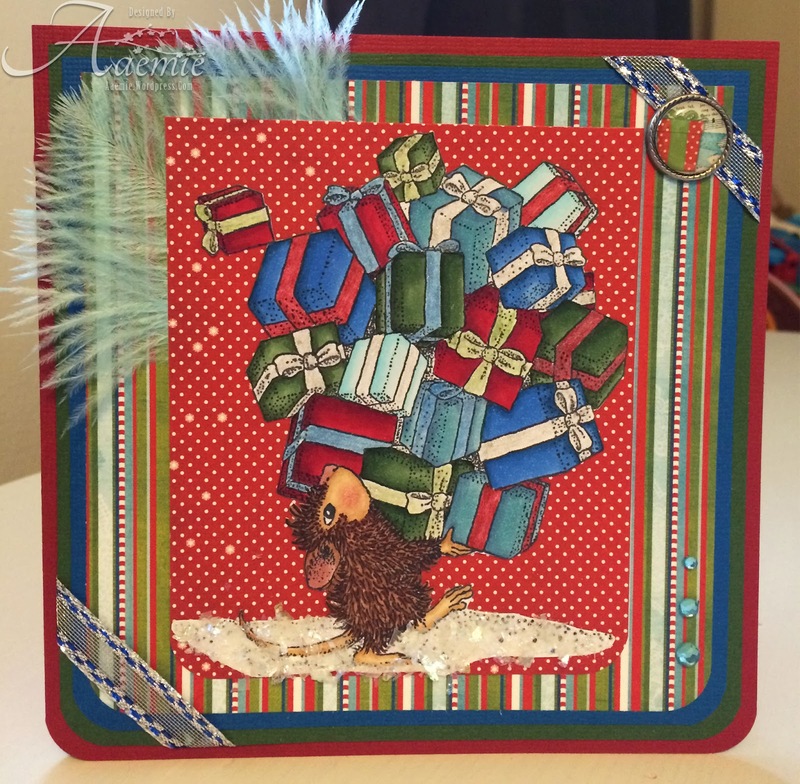 You still have time to enter the November Christmas challenge for your chance to win 2 stamps from Wild Rose Studio. I have enjoyed seeing what everyone has made so far. If you are a regular to my blog, you will know that I adore penguins - big, small, cute and fluffy, just as long as the image is a penguin I will own it!!! So for today's post for One Crazy Stamper I have used my Copic markers to color up this super cute Whimsy Stamps image "Penguin Joy". After coloring the image I added Red Viva Décor Pearl Pen to the berries, and white Liquid Applique and Snowdust Stickles to add more dimension and shine. 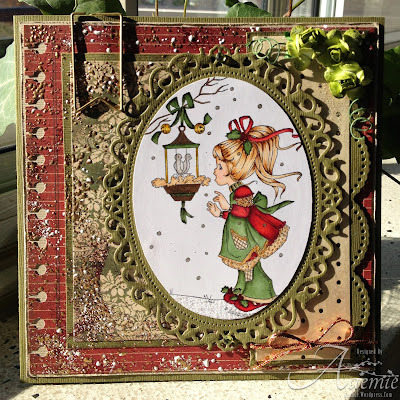 The card front features designer paper from Carta Bella's So This is Christmas collection. 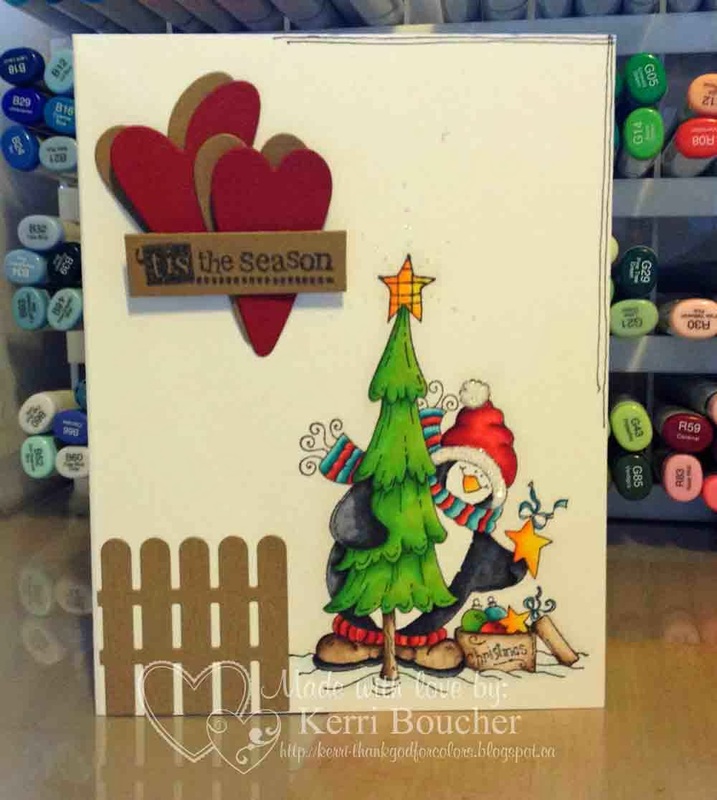 Please check out the fabulous One Crazy Stamper challenge - the theme this month is "CHRISTMAS", and you still have until the end of the month to enter to win a couple of great stamps. Leave some love for the entire design team, and check out all of the wonderful products available at the online store. Friends welcome back, and as I type this it is snowing lots, weird to be saying this as it is only November, but I live in North Central Alberta, Canada, and it could start snowing early. So have my hot chocolate and my candles going and I started my Christmas Cards I am making for my co-workers, I have started off with card base, but made a pocket for a gift card to go behind the stamped image. I thought a nice coffee/tea/hot cocoa gift card for those cold days might be what my co-workers would enjoy. 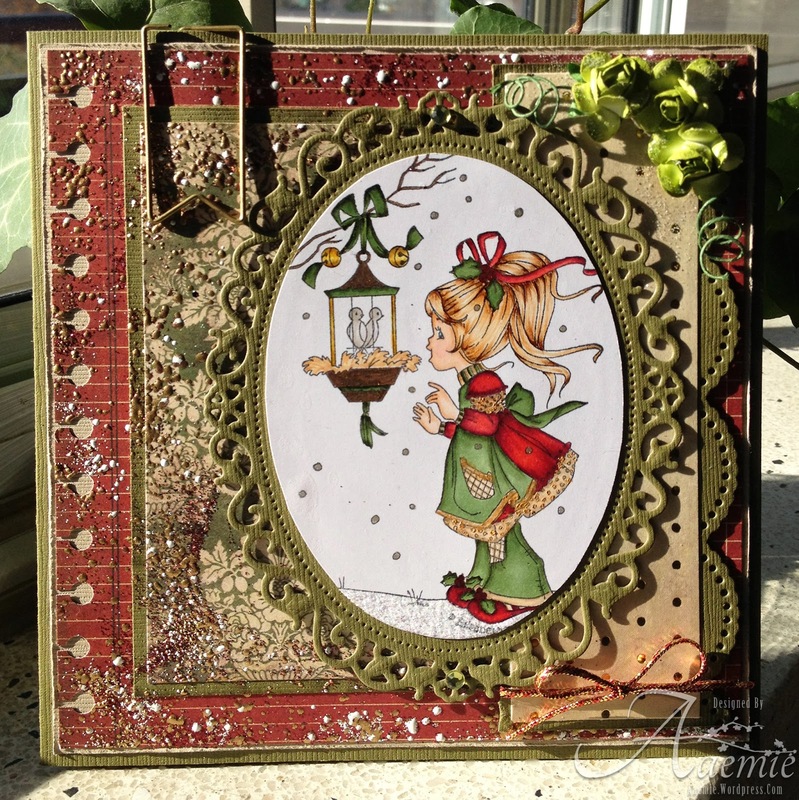 I colored up a winter favorite of mine, I purchased this last year from One Crazy Stamper, it is from Whimsy Stamps-Vintage Christmas, you will notice on some of my cards lately it will be a sentiment from this set or a stamp from it. I really find it versatile. I used the BZ 6x6 pattern paper pack called Countdown to Christmas and it's coordinating cardstock pack too. I used Xpressit Copic Paper. 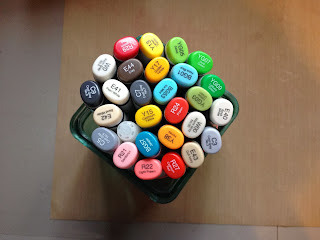 I also used my dies, ribbon, 3D squares, glue dots Copic Markers are the flowing: R46, RV29, YG95, YG97. 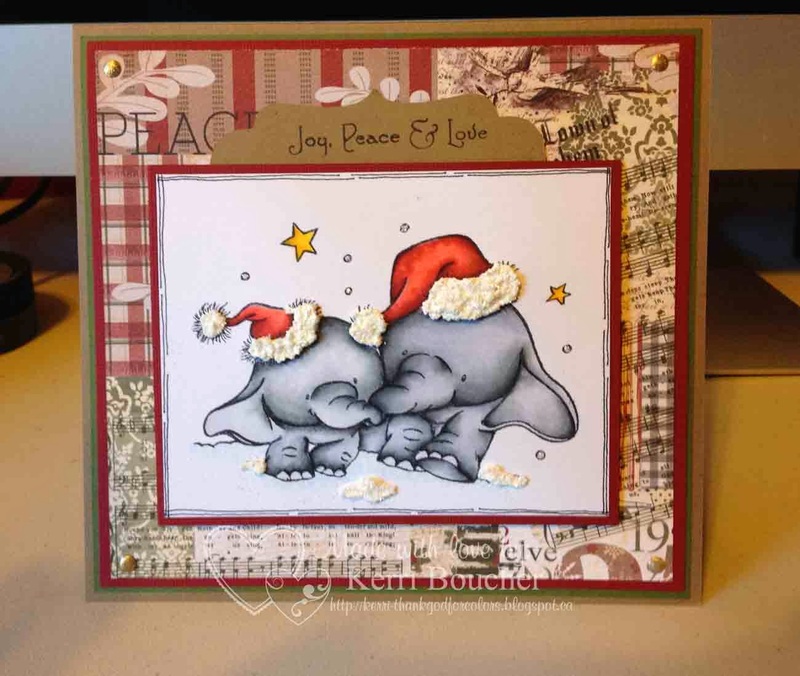 I do hope you get a chance to play at the monthly challenge at One Crazy Stamper-Christmas. We love seeing all your creations. Thanks again for stopping! Till next time Happy Crafting! With the approaching of Christmas also comes the Winter and all the fun sports that are available. Skiing is something that I have never tried, but if I ever get the chance to I think it would definitely be cross country skiing. 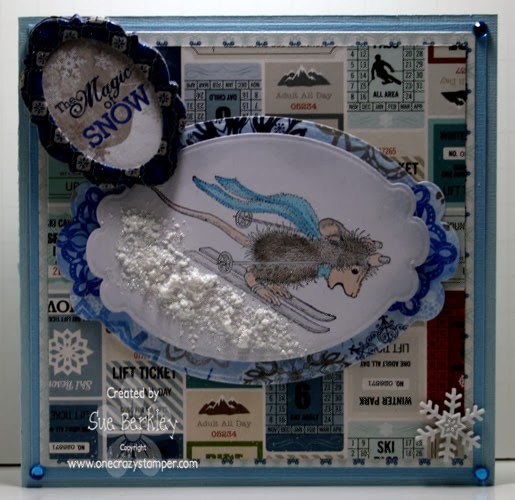 For today's post for One Crazy Stamper, I have used this adorable House Mouse stamp called Ski Run by Stampendous. The Snow Tex which I used to make the snow is an awesome product, and I used Lora's suggestion from her post, which was to add some glitter. Paper: X-Press It Blending Cardstock, DP - Winter Park (Echo Park), Powder Mountain (BoBunny). Both DP are from my stash. Miscellaneous: Snow Tex (Deco Art), Cool Highlights (Glitter Ritz); Sentiment and snowflake from Powder Mountain (BoBunny) collection both are from my stash. For a chance to win a prize pack from Wild Rose Studio, enter this month's Christmas challenge. Remember to make your wish list for Christmas. 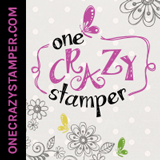 Lora has new and amazing products arriving daily at her store One Crazy Stamper. Gift certificates are always a good idea. Until next week, keep crafting and have fun. Hi! I'm back after a little break, thanks for posting for me last Saturday Sue! Today I have a super sweet image by Whimsy called Two Turtledoves, which I coloured with my copics. 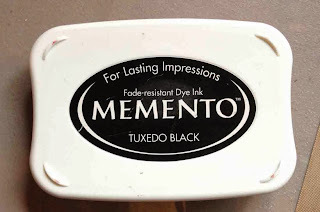 I used lots of Frantage embossing powders on my dp, and also added a bit of garnet red glitter to it. On the red background dp I used my crop-a-dile to punch holes along the side. I then used scissors and made little snips beside each hole to give it a hole punched lined paper look. For a chance to win two wild rose stamps join our Christmas challenge this month and you could be the lucky winner! Until next week...keep crafting and have a great day. Copic Colours Used: * Boy Fur: E49, E47, Boy Belly, Hands, Feet, Face & Girl Fur: E44, E43, E42, E41 * Girl Hands, Feet, Face & Belly: E43, E42, E41, E40 * Boy Nose: E49, E44 * Girl Nose: E47, E43 * Girl Bow: B93, B91, G000 * Ears: E02, E00, E41 + Glossy Accents on the eyes, noses and the Girl's bow. And that is my Husbands Anniversary card, here is a top view to see the card a little better =) Hope you enjoyed today's post. If you have time join us for the CHRISTMAS CHALLENGE Lora has great prizes..now who doesn't like free stuff!! Hello there. 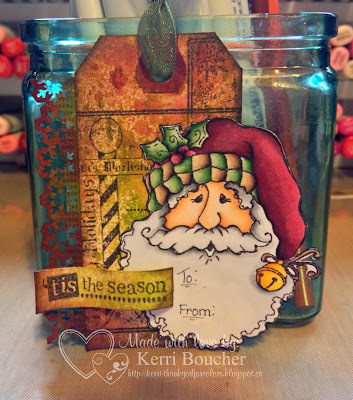 It is Wednesday once again and I have a Christmas tag to show you featuring a cute stamp from the High Hopes line. Please join us in our "CHRISTMAS" challenge for the month of November. Details are in the above pinned post. I will use this cutie to adorn one of the presents for my grandson I believe. There is lots of space to write him a note on the back. Thanks for coming by. Enjoy your day and keep crafting.